Since everyone in the world now has access to the internet, it is safe to say that the reason why E-commerce websites are so popular is because they all have so much potential. 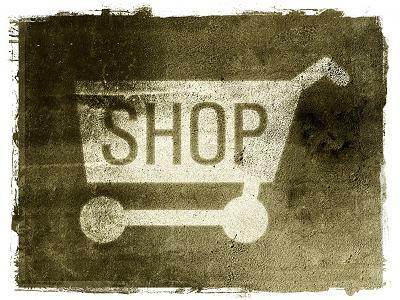 Creating an E-commerce store allows you to sell products through the internet and can accept all major payment methods. They are the easiest way for your customers to pay for the product and have proven to be extremely easy to market. In this article we are going to go more in depth about E-commerce websites and how come they are in such a high demand. The power of the internet has taken away most of the hassles that come with purchasing a product. You no longer need to physically go to a store, you no longer need to wait in line, you can get all the information you need about the products directly from the internet, and everything else is shortened and made easier when you order online. So, naturally more and more people continue to hop on board and get most of their shopping done over the internet. Just ask Amazon.com, which is one of the biggest E-commerce websites out there. Bottom line is, by having an E-commerce site, you give your customer a easy way of accessing your products and at the same time, are able to market them towards new and other products. Like I stated earlier, almost everyone in the world has access to the internet. This means that your products have an incredible amount of people that they can attract. Before the internet showed up, most people would go to trade shows and other events to promote new products. There would usually only be a few hundred people that would go and businesses would still consider it a success. Nowadays, you could have targeted traffic hit your website on a daily basis by the thousands. That number isn’t even considered a large amount. You can easily tell that the potential for a website can be much greater than a physical store. Depending on how you market the website, will determine the amount of overall traffic that you receive. Online marketing campaigns are much more effective and can cost much less than trying to promote a physical store. By setting up a blog for your business, some social media profiles, and promoting your content, you will be able to gain unlimited amounts of targeted traffic that goes directly to your E-commerce store. If you don’t want to take the time or have a large marketing budget, then you can take the easy route and use paid advertising programs. A popular way to advertise would be through pay per click programs. You will be paying every time someone clicks your ad and you can ensure that the person clicking it is a targeted demographic that used a certain search term. You can also use social media sites to advertise, such as Facebook. E-commerce sites are typically really easy to design and can make your business look much more professional. Usually business will hire a professional designer to ensure that the website is created perfectly, but you could always just hire a freelance designer who isn’t considered a professional. Usually you will be able to find low prices and they have something to prove, so they put more effort into the designs. How you get your website designed is up to you, but it should be noted that E-commerce sites are easy to design and will usually be professional looking. Another great thing about these sites is that you will be able to review the statistics of every single aspect of the website. You can see what parts of the website are more successful than others and then change up the parts that need improvements. You will be able to try out different call to action buttons to see which converts more visitors into actual customers. Overall, you will have more control over your audience and you will be able to make your website as perfect as it can be to continue to get as many sales as possible. This entry was posted in E-Commerce and tagged ecommerce on September 23, 2013 by The Core Team.